WOW...thanks for showing these. 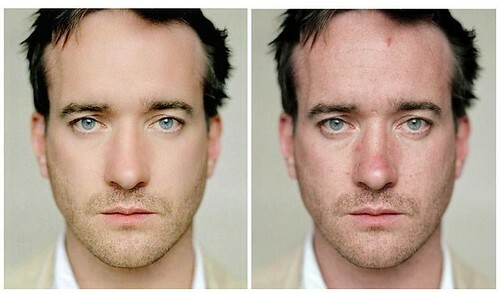 It was interesting to see what photoshop actually does! I stumbled your blog! Awesome - they can do some incredible stuff, not just with skin but *thigh size*?! Wow. Photoshop is a wonderful program and it could really do wonders, but it's so sad that people don't realize that the pictures of the artists that they look up to are really touched up in programs like these. Then they just end up frustrating themselves thinking that the artists are naturally perfect . LOL Not!!! Love the post. I’m Reneese and I’m working at a company interested in website and blog advertising. I have seen your site’s potential for advertising and I believe that our client’s business would be well suited for a link placement in your site. Our client’s business offers services for all types of printing jobs from business cards, postcards, greeting cards to large print projects for posters and vinyl banners. It would be of great help to your readers to be informed of such printing business. 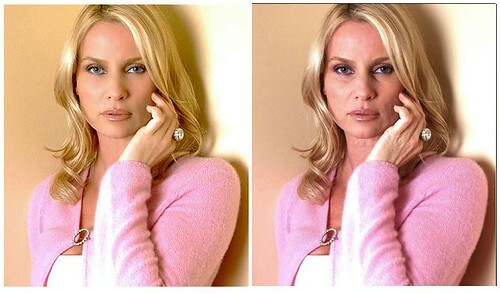 HaHa, they are ugly in fact , even before photoshop there is a magic trick called make up. Actually most of the pictures don't have as much of a difference as I would expect. The picture of Eva Longoria is especially surprising. I can see the difference, but really, they didn't make her any more attractive. We are made to believe to perceive cover girls as enviously perfect, on one hand we are easily deceived by the uglier facade showed in the "before Photoshop". The lesson here is: Print aesthetics is incomparable with the imperfect real world, real bodies and real faces we have. Photograph technology has a lot to offer, in presenting an ideal figure for us to admire or envy. Now a simple touch of electronic magic is all we need to appear eternally young and beautiful. Or it can destroy originality and caricature personalities. We must have discerning eye to view things around us and judge them just not as how they appear but judge them according to their societal value. Oakley Sunglass Sale Standing outside the uniformed police officers. oakley sunglasses outlet Jasper is more impatient than her, "I do not want you to believe." oakley radar path sunglasses Nanny to the bear like a child, bright knowledge does not matter. www.verycheapoakleysunglasses.com It is my responsibility, I was babysitting, I can not send their children to others. I've been browsing online greater than 3 hours nowadays, yet I never discovered any attention-grabbing article like yours. It is pretty value enough for me. In my view, if all web owners and bloggers made good content material as you probably did, the internet will be much more useful than ever before. out. I'm definitely loving the information. I'm bookmarking and will be tweeting this to my followers!